I’ve had three exceptional meals in Japan. The first, and probably my favorite was in a little restaurant located on the grounds of RyÅan-ji, the famous temple with the rock garden. The restaurant is sitting in the middle of a gorgeous garden that is open only to the restaurant patrons. 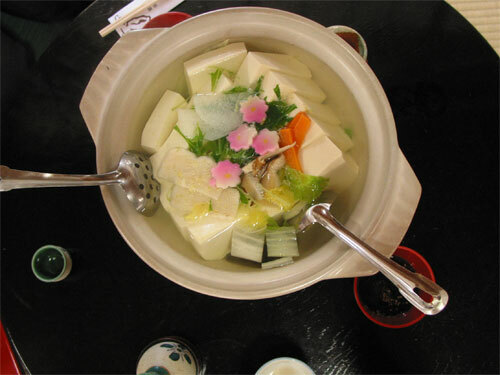 They serve beer and yudofu, a vegetarian stew with tofu and seven herbs. I am not a fan of vegetarian dishes, but this one completely blew me away by it’s simplicity and clean flavor. I can see how the monks could spend their entire life eating like that. 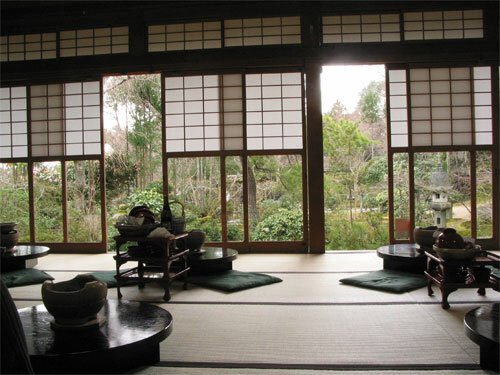 You eat sitting down on tatami, the traditional way. 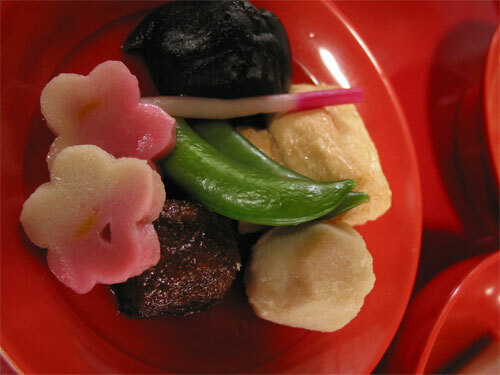 We ordered a yudofu set that came with numerous side dishes, of which this is one. It wasn’t cheap at about $60, but was totally worth it. Maybe seeing the rock garden prior to eating this had something to do with it, but this was my favorite meal in Japan. 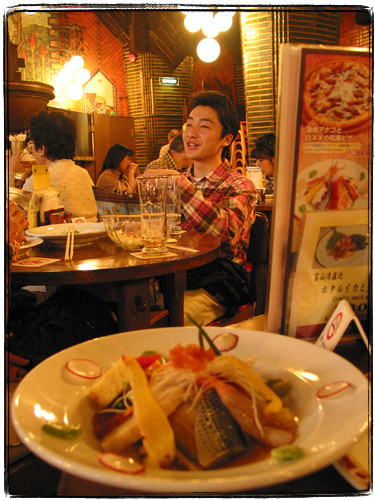 My second favorite meal was in a little restaurant in Ryogoku, Tokyo’s sumo district. 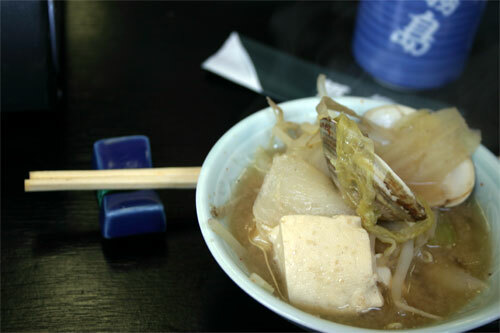 They serve chankonabe, stew traditionally eaten by sumo wrestlers. That was probably one of the most filling and healthiest meals that I’ve ever eaten in Japan – it was mostly protein. 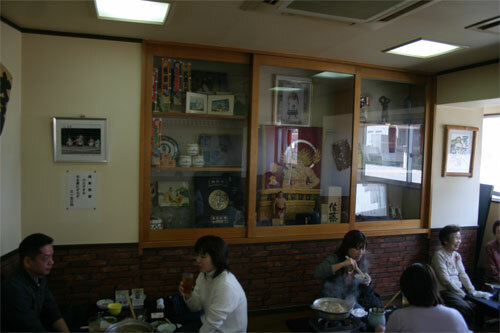 The restaurant was filled with trochees, memorabilia and pictures of sumo wrestlers, many in the restaurant itself and together with their families. 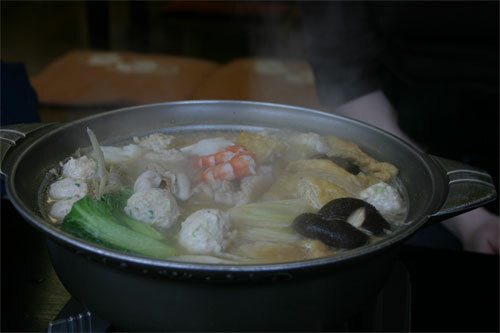 Chankonabe is a meat, seafood and vegetable hot pot. It was prepared right in front of us. It’s eaten piping hot. I need to cook this at home more often. 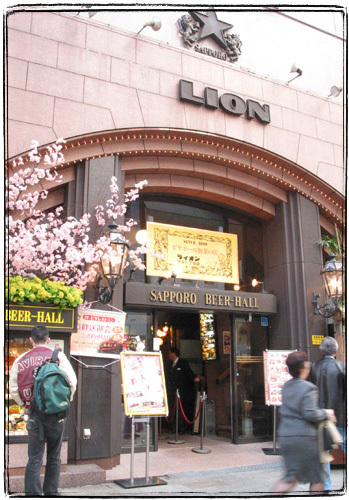 Our last meal in Japan happened in a rather famous place, the Sapporo Lion Beer Hall in Ginza. 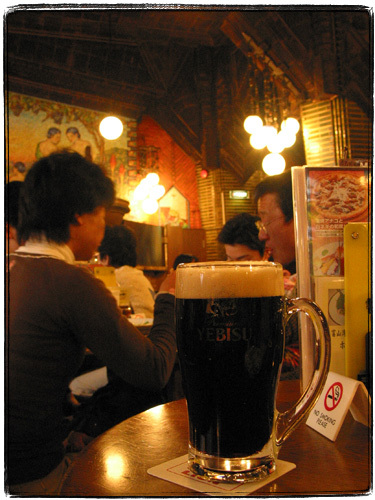 It’s the oldest Japanese beer hall that opened its doors in 1899. The interior has huge vaulted ceilings, Art Deco and Gothic decor. 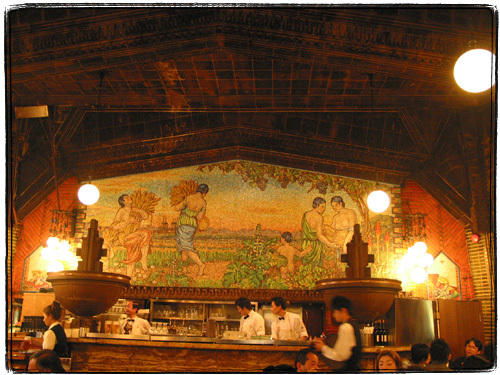 There’s a huge mosaic over the bar depicting a harvest scene. The selection of beer is as good as can be expected in a place like this. My favorite was Yebisu Black, which I sadly can’t locate here in the US. The selection of appetizers was huge too, and we tried several, including this awesome sashimi appetizer. Sadly, despite my advice, my wife ordered a chorizo(!) appetizer (it was the only thing that I did not have that night) and got a bad case of upset stomach later that evening. I was fine, so I guess a historic Japanese beer hall is not a great place for chorizo.